Are you someone who spends all their time browsing through social media? Do you perhaps get all possible news updates from social media and RSS feeds you’ve signed up for? Do you maintain blogs or blogs or even audio blogs? Or do you perhaps create snatches of content regularly online and share it to your friends list or even the world via your social media accounts? Perhaps you keep track of new updates and tools available on social media? And you perhaps think that social media is the best communication and socializing tool since the telephone was invented? Well, guess what. If you answered “yes” in your head to more than three of the above question, chances are that you are a social media enthusiast and like nothing better than checking your social media notifications and sharing updates with your followers and friends. You might even be chronically shy and an invert offline and are only so sociable online. But that’s not a problem. For, as long as you can do all this and showcase your personality to your advantage online, there’s a good chance that a social media job would be perfect for you. 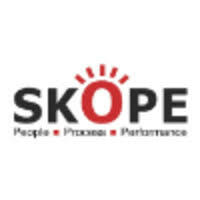 SKOPE Business Ventures Pvt. Ltd.
SKOPE Business Ventures Pvt. Ltd. is a business solutions and staffing company. The company has a base in Navi Mumbai. It specialises in talent acquisition for a wide array of industries. And currently, they have openings for the post of Social Media Senior Manager in the company. Chakra Vastra is an ecommerce company that specialises in clothing. Or, more specifically, the business entity is an online store specifically for “healing” apparels and clothing. The company states that the fashions and designs here were uniquely designed to bring forth the alignment and healing power of the “chakras” in the human body. Currently, the firm has openings for the post of Social Media & Marketing Manager in the company. 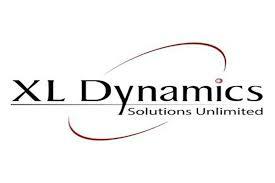 XL Dynamics India Pvt Ltd is an online business financial services company. Its home base is in Navi Mumbai. The company, in simple terms, specialises in web-based loan services. They serve to streamline business processes in a cost effective manner. They provide end to end technology services in their sector. 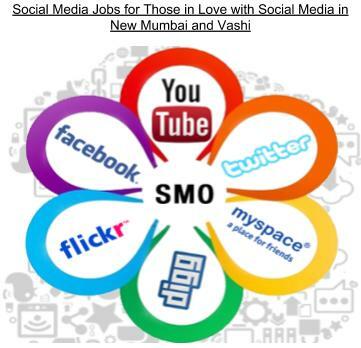 Presently, the company has job openings in Bangalore for the post of Social Media Executive. Holidaymine.com is a company that specialises in the holiday, tours, and travel sector. The company offers a variety of holiday packages and coupons for travelling all over India. Different parts of India make up their current travel destination for all their tour and vacation packages. Hotels, accommodation, and tours are also included in their services. And at the moment, this company has great job openings for the post of Marketing & Social Media Coordinator. EvolutionCo Digital and Interactive Consultancy Services is an interactive consultancy company that offers interactive digital services and marketing strategies. The company has links on a worldwide scale. This business entity offers end to end interactive digital services and digital strategy services. Presently, the company has job openings available for the post of Social Media Manager on their team. Blueocean Market Intelligence is, like its name suggests, a market intelligence company. Basically, this company’s chief service is to analyse the data collected and give insights which will help improve their clients’ businesses. The company offers services like market research, analytics, and general business solution services. And right now, the firm has great openings for the post of Social Media Manager in the company. Enterprise Social Media Pvt. Ltd. is a sibling company of Hannon Digital. It specializes in social media services. The function of this business entity is to help their clients use their social media accounts in their business ventures as effectively as possible. The company’s main services include social media strategy, ORM, social media marketing, and other similar services. And, at the moment, this business entity has job openings available for the post of Social Media Account Manager. 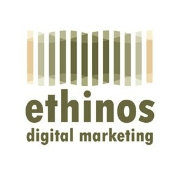 Ethinos Digital Marketing is a leading digital marketing company in India. In fact, it makes the list of digital marketing companies in India. They offer all kinds of digital marketing services, from SEO to social media marketing services. Currently, they have job openings for the post of Social Media Manager in their company. Binary Web Solutions (I) Pvt. Ltd.
Binary Web Solutions (I) Pvt. Ltd. is a digital agency. As such, this company offers a variety of digital and web based services. Some of the company’s services are web design, SEO, app development, SEM, etc. Currently, they have openings available for the post of Social Media Manager in the company. Wow Tables is a fine dining restaurant finder website. However, in addition to helping you find fine dining restaurants, it also helps you make a reservation in the restaurant of your choice with minimum fuss. At the moment, this firm has openings for the post of Social Media Marketing Executive in the company.